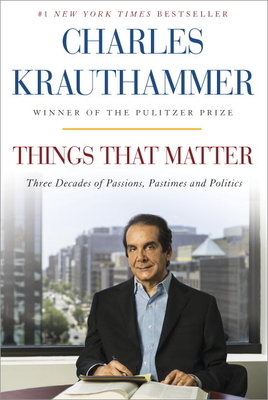 From America’s preeminent columnist, named by the Financial Times the most influential commentator in the nation, the long-awaited collection of Charles Krauthammer’s essential, timeless writings. Charles Krauthammer, winner of the Pulitzer Prize, was a syndicated columnist, political commentator and physi­cian. His column was syndicated to 400 news­papers worldwide. He was a nightly panelist on Fox News’s Special Report with Bret Baier. He’s a former member of the President’s Council on Bioethics and of Chess Journalists of America.